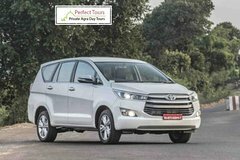 Book a very safe private transfer from Agra railway station or Agra airport to your hotel in Agra. This transfer also includes a professional driver with air conditioned private car. Experience a hassle free and safe transfer from Agra Train Station or Airport to Agra Hotel .The Tour Includes Private Air condition car ,English speaking driver .Pick up could be arrange from Tundla Station(30 km far from Agra) .Kindly advise your train arrival details .This Service is Available 24 Hours . When it's time to say goodbye to Agra, end your trip the easy way with this Private departure transfer to Pandit Deen Dayal Upadhyay Airport (AGR) . Transfer services are available from Any Agra Location to Pandit Deen Dayal Upadhyay Airport (AGR) On Time Pickup and On Time Drop is our Responsibility. This is a Private Transfer Trip. 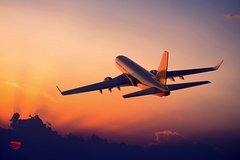 Private Arrival and Transfer Airport to Delhi Hotel by Car : This private arrival & transfer to your pre-Booked Delhi hotel. Meet your driver at New Delhi Indira Gandhi International Airport, and be peacefully transferred to your city hotel. These private vehicles can accommodate up to 5 passengers. 1-3 passengers in Small Car like Toyota Etios or Swift Dzire and 4-5 passengers in Toyota Innova Car, Driver will assistance with your luggage before heading directly to your hotel. 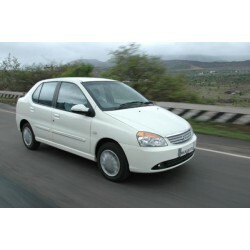 Experience a safe,Comfort and hassle free journey from Agra to New Delhi by Private car. Transfer can be also arranged from any hotel or Railway station or Airport located in Agra. This service is available 24 hours round the clock. This service includes air-conditioned private car and professional driver. Your private Transfers from Agra City to Delhi City by car will begin and complete with all the comforts. Get a pick up from your hotel or any residence in Agra by our driver and start heading towards Delhi. This service is available 24/7.